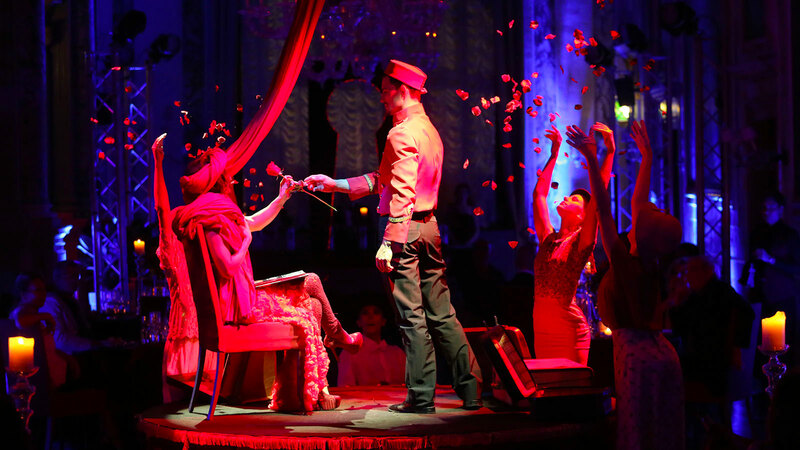 Casinò di Venezia opens the Salone delle Feste to one of the most original shows of the moment and presents a magical evening bringing together the pleasures of good food and entertainment in a combination of art and the senses. Temptations is a sensory experience that is both elegant and pleasurable, includes food & entertainment and is aimed at people looking for an original, exciting evening in an exceptional setting, like Ca’ Vendramin Calergi. More than 50 people are involved in the new Nu’Art show, including the artists, the food area and the reception; Gabriele Rizzi is the artistic director and the food area is managed by the chef of the Ristorante Wagner at the Ca’ Vendramin Calergi. Entrance to the show and the casino is restricted to guests over 18, a valid ID is required. Make a reservation for one of Casinò di Venezia signature restaurants online today.